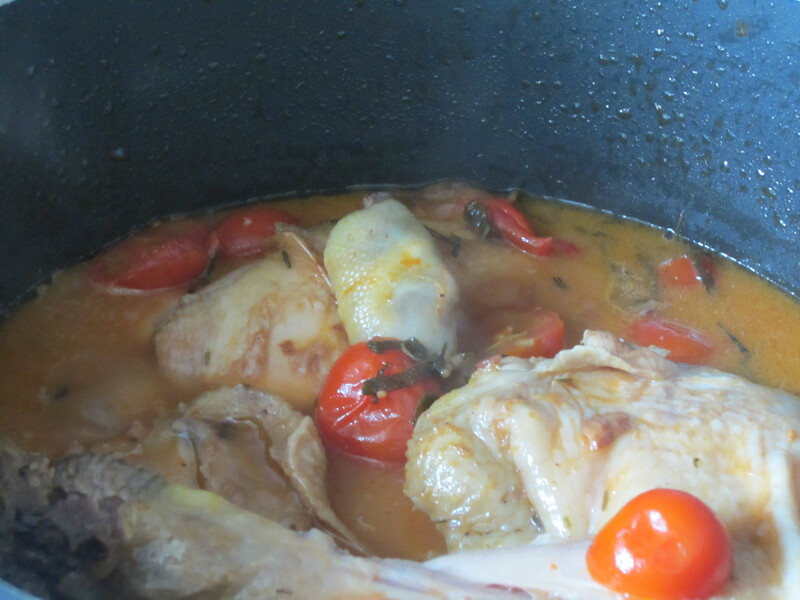 Chicken with Ligurian olives and cherry tomatoes: a tasty great traditional dish! 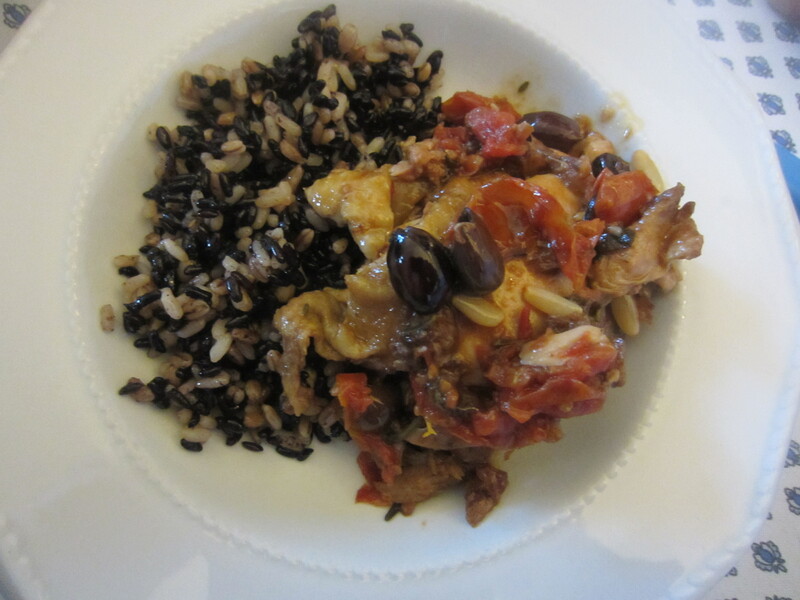 The Chicken with Ligurian olives and cherry tomatoes is a tasty and easy very good main course. 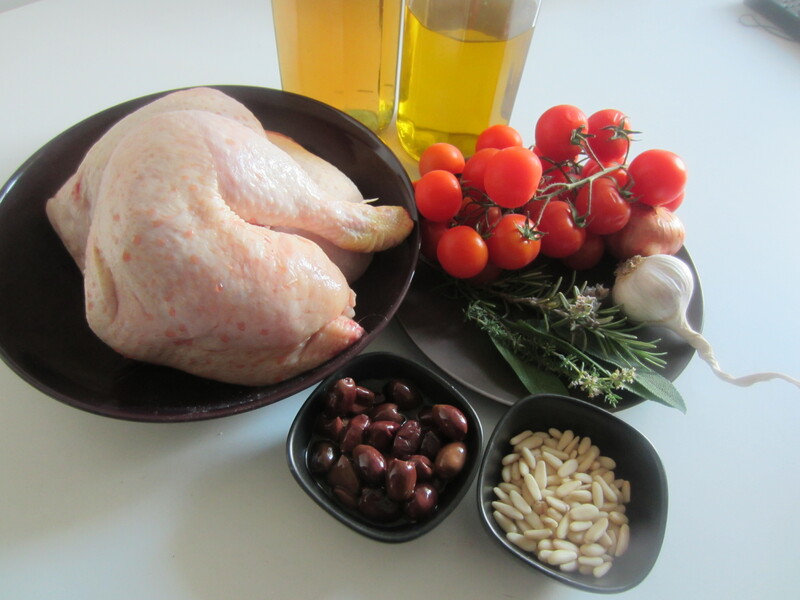 500 grams of chicken into pieces (for example: 6 thighs), 20 grams/ 2 tablespoons of black olives without bone, pitted, 2 cloves of garlic, a few sprigs sage , thyme and rosemary, 150 grams / a cup of cherry tomatoes, a glass of white wine, 1 tablespoon toasted pine nuts, 3 tablespoons extra virgin olive oil, salt to taste. 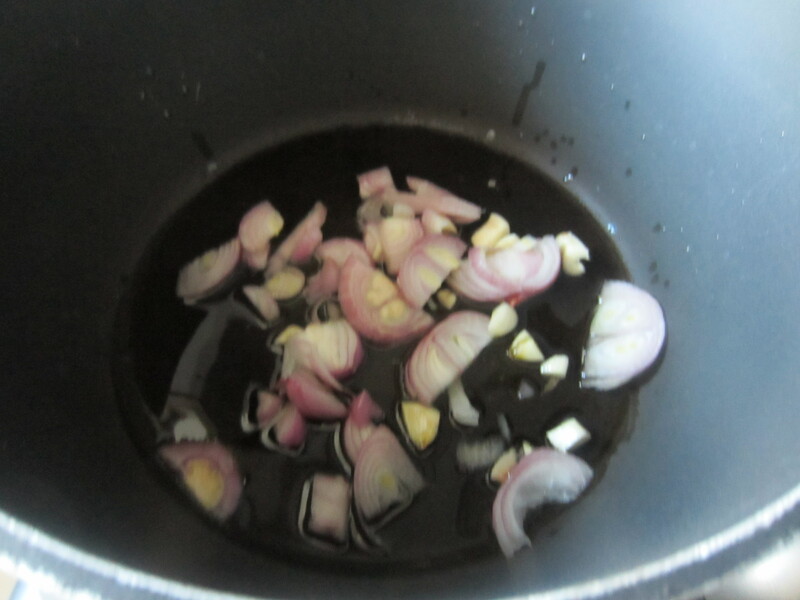 To start, in a pan heat the oil with the garlic cloves slightly crushed. 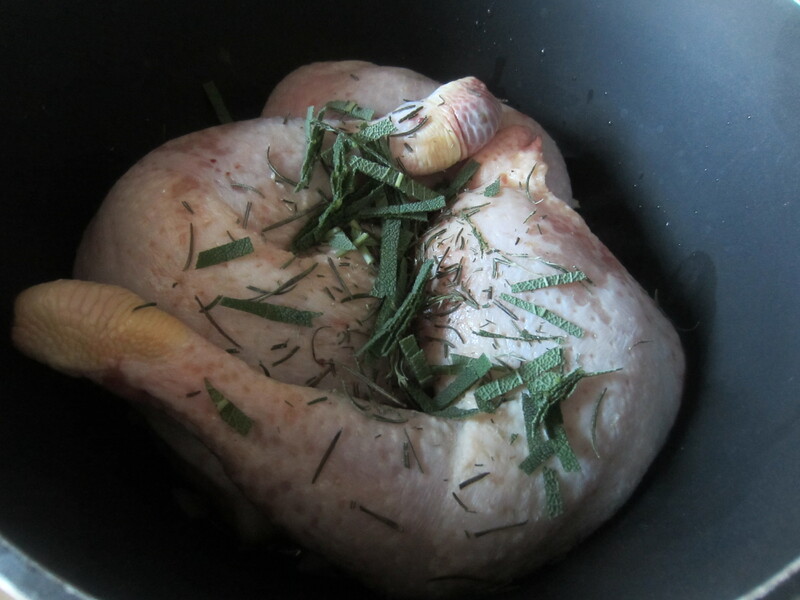 Then add the chicken pieces, some rosemary, thyme and sage. 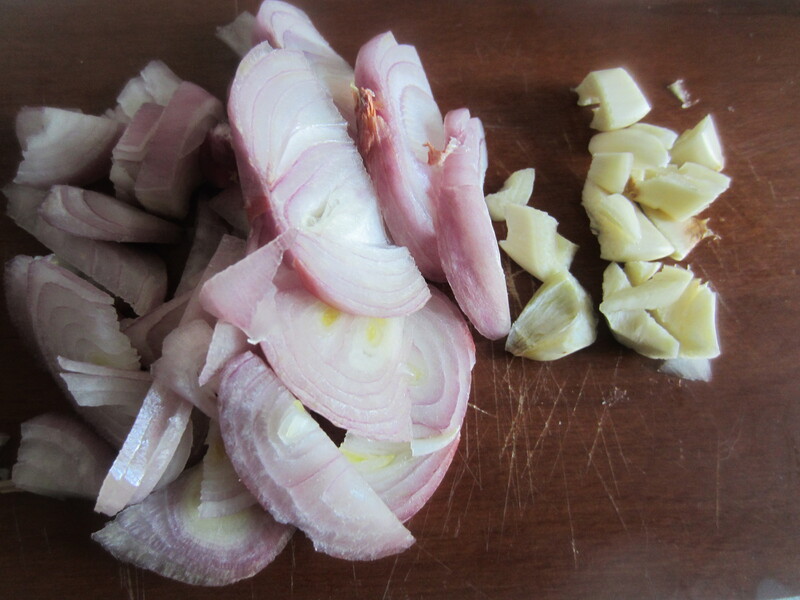 Sauté over high heat brown the thighs by doing all the parts. 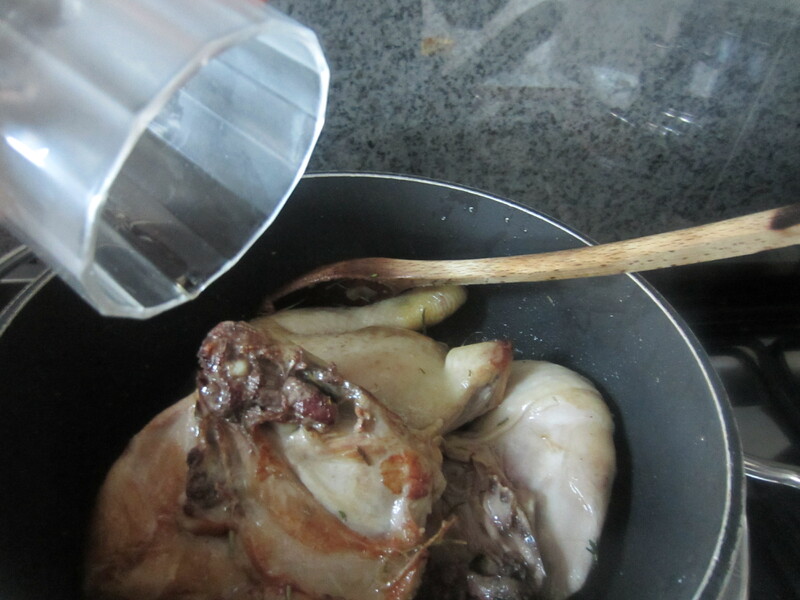 Pour the wine and let it reduce a little over a high heat ; season with a pinch of salt. 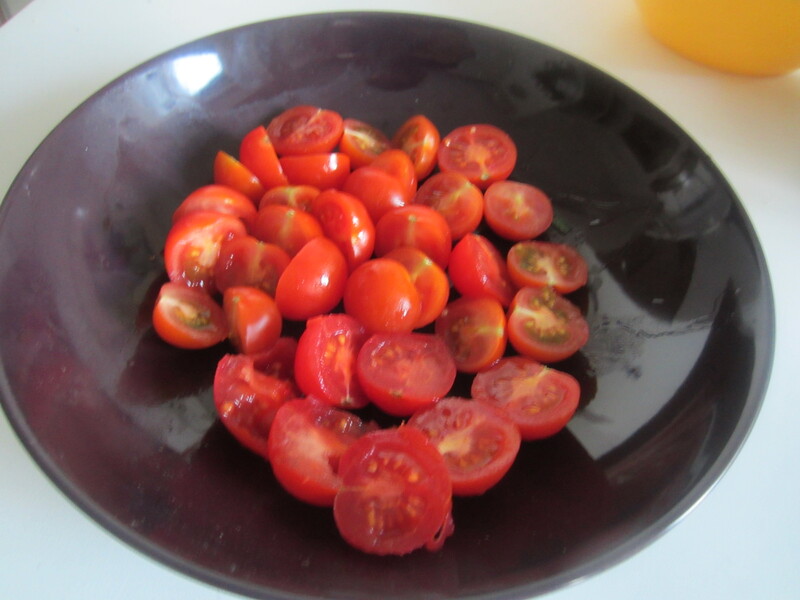 Add the tomatoes split into small pieces. 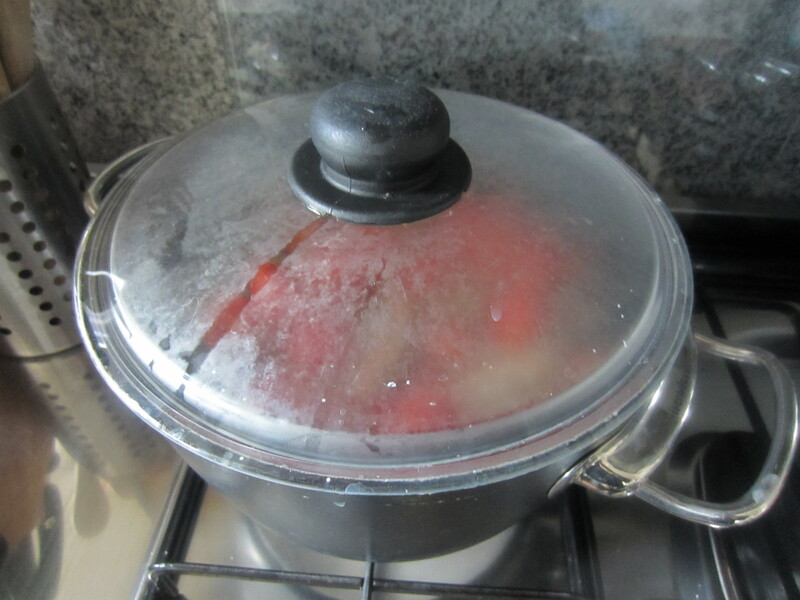 Continue cooking for 25/40 minutes in covered pan and heat, checking if is needed a little more wine. 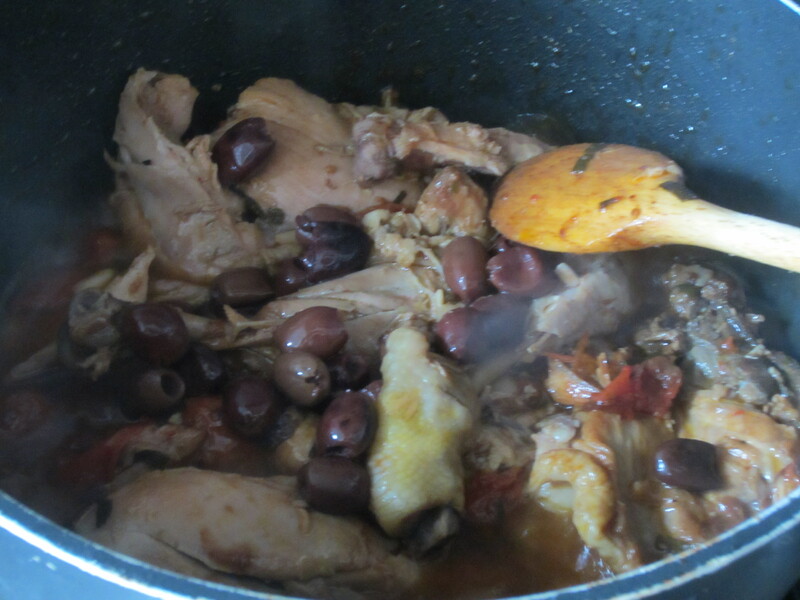 Five minutes before the end of cooking, add the pine nuts and black olives. 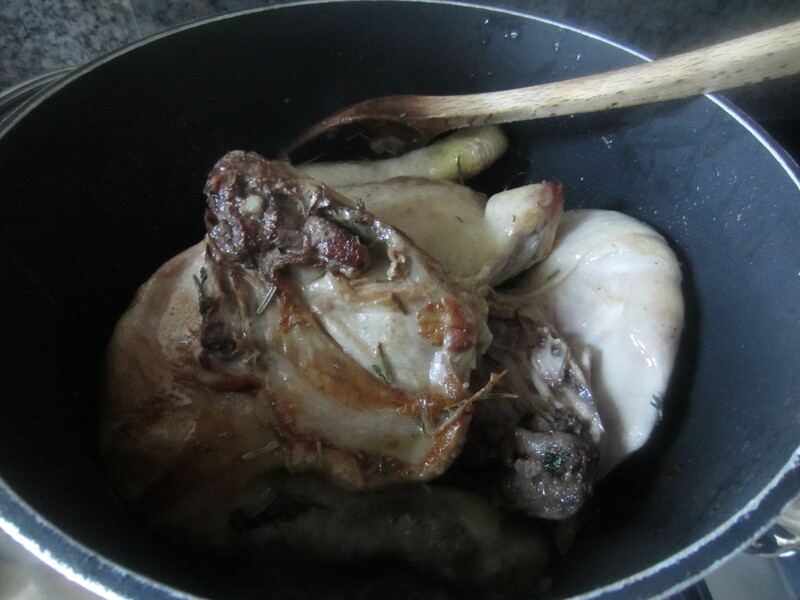 Serve with the sauce accompanying the chicken. I love to serve it with some rice. 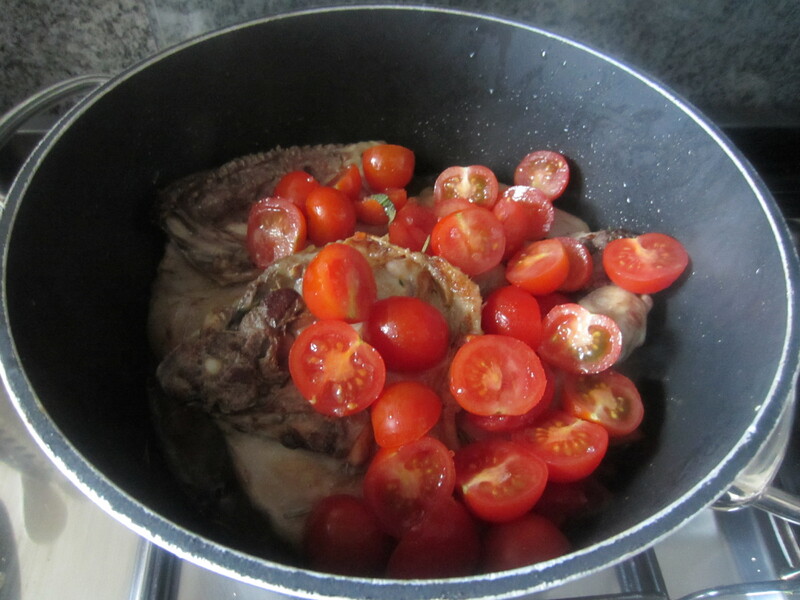 Buon appetito, enjoy it! ← THE BEAUTIFUL BLOGGER AWARD!